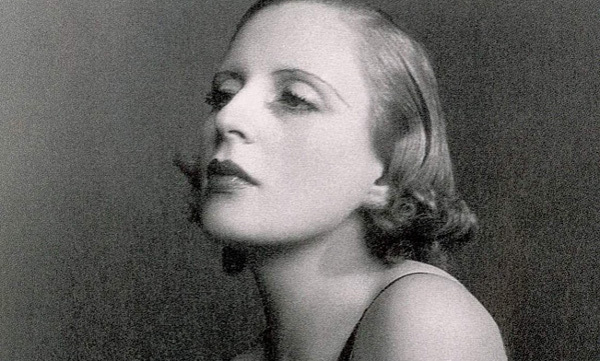 Tamara de Lempicka was born into an extremely affluent and influential family. He father was a renowned Polish lawyer, while her mother, Malvina Decler, was an influential Polish socialite. Tamara was sent to boarding school at a very early age, she began attending the school in Lausanne, Switzerland. She became exposed to the beautiful world of art in the winter 1911, when she visited her grandmother in Italy, and later, they went to the French Riviera. This is where young Tamara experienced her first exposure to the magnificent works of the Great Masters of the Italian Renaissance. In 1912, her parents decided to get divorced, and it was decided that Tamara will live with her wealthy Aunt Stefa in St. Petersburg, Russia. In 1913, soon after the marriage of her mother, Tamara fell in love with her lifelong companion, Tadeusz Lempicki, at the young and tender age of 15. After a series of successful manipulations, diligent scheming and coveting, in 1916, she managed to marry Tadeusz Lempiciki, a successful lawyer, at the age of 18. In 1917, the Bolsheviks ordered the arrest of Tadeusz during the widespread arrests that took place in the wake of the Russian Revolutions. However, Tamara managed to locate him in one of the prisons, and with the assistance of the Swedish Consul, he was released. The two managed to escape to Copenhagen, later, they travelled to Denmark, London, and finally, they settled in Paris. In France, Tamara managed to locate her family that had also escaped the horrors of the Russian Revolution. During this period, she gave birth to her first child, a daughter whom she named Kizette de Lempicka. In 1925, Tamara de Lempicka held her first major show that included 28 of her new paintings that were all completed in the short period of just six months. The exhibition took place in Milan, Italy, and the event was sponsored by Count Emmanuele Castelbarco. The show was a huge success, and soon, Tamara was the most coveted and sought after portrait artist that became instantly famous with the bourgeoisie and the aristocracy. Her works, such as ‘Group of Four Nudes’, draws critical acclaim as well as criticism for her ‘perverse Ingrism’ that basically refers to her modernistic approach that has been influenced by her teacher, Jean Auguste Dominique Ingres. In 1927, Tamara received her first award, the first prize for her portrait, ‘Kizette on the Balcony’, at the Exposition Internationale de Beaux Arts that took place in Bordeaux, France. In 1929, Tamara created a rage in the artistic circles of the world when she produced her remarkably impressive and iconic ‘Auto Portrait: Tamara in the Green Bugatti’ that was to appear on the cover page of the Die Dame, the German Fashion Magazine. Some more of her works from the early and late 30’s include ‘Women Bathing’ and ‘The Sleeping Girl Kizette’. Tamara largely neglected her domestic duties as a mother and wife, her husband soon tired of her neglectful attitude and the two parted ways. Young Kizette was conveniently shipped off to a boarding school in France, and even on holidays, she was deprived of the company of her mother, and shipped off to the care of Malvina, her grandmother. Despite her neglectful and unconcerned attitude towards Kizette, Tamara frequently used her as a subject of her paintings, and she has in fact painted a remarkably impressive portrait series of her daughter that includes, ‘Kizette in Pink’, ‘Kizette on the Balcony’. ‘Kizette Sleeping’, ‘Portrait of Baroness Kizette’ and many more. Towards the start of the 1930s, Tamara began receiving numerous commissions from the United Stations, and she began travelling to the US more often. She organised her first show at the Carnegie Institute, Pittsburgh. In the US, Tamara became a much sought after and highly demanded portrait artist that had created quite the rage among celebrities in Hollywood who admired her work and compared her art to that of Salvador Dali. Some of her iconic and impressive paintings from this period include the ‘Key in Hand’, ‘Amethyst’, and the ‘Girl with Guitar’.